Online price €38.20 per month (30 pairs). 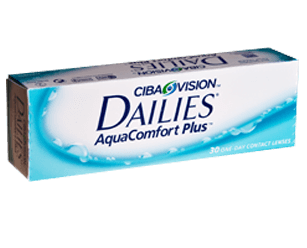 Focus Dailies Aqua Comfort Plus lenses offer the convenience of single-use lenses at outstanding value. These lenses benefit from a handling tint, making them easier to see while putting them in and taking them out. They remain moist and comfortable throughout the day.